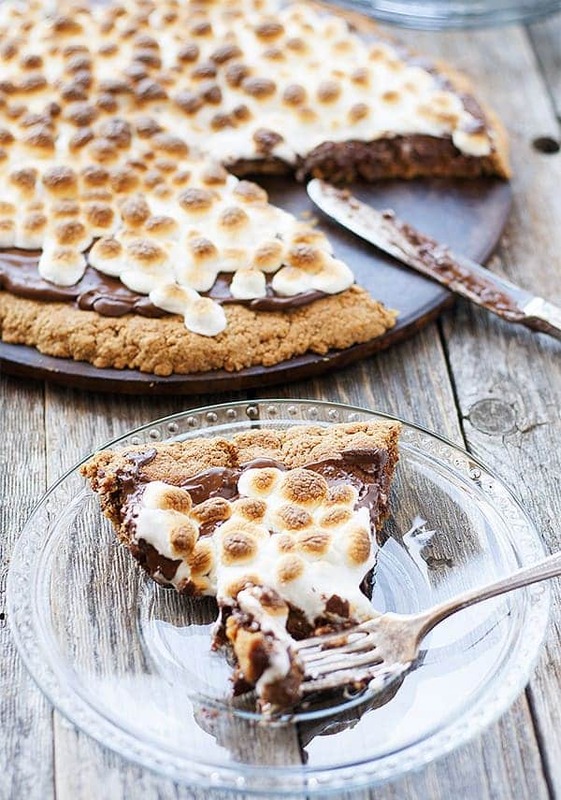 If you love s’mores you’re in the right place today: 31 of the BEST INDOOR S’more Recipes! 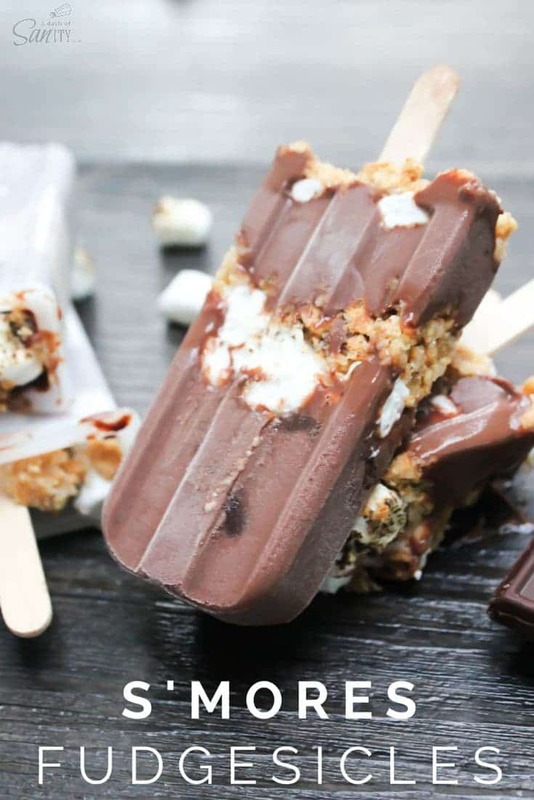 Here’s the thing: I love s’mores…but I don’t love the outdoors. Sure, I like pool parties and backyard BBQ’s…but camping and a fire pit? Not so much. Heck, I won’t even start the BBQ on my own! 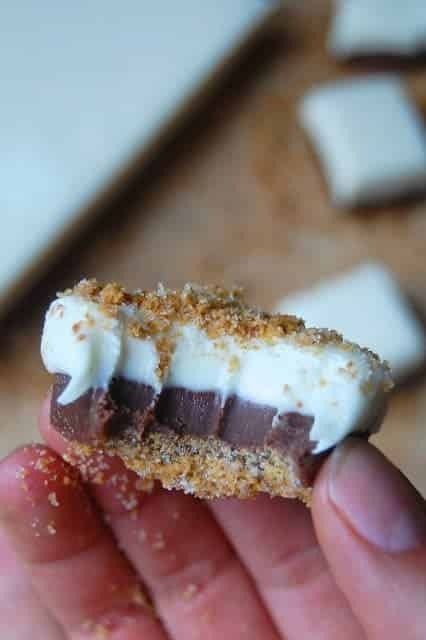 I’m an indoor and resort girl to my bones but that doesn’t mean I don’t love me a good s’more. 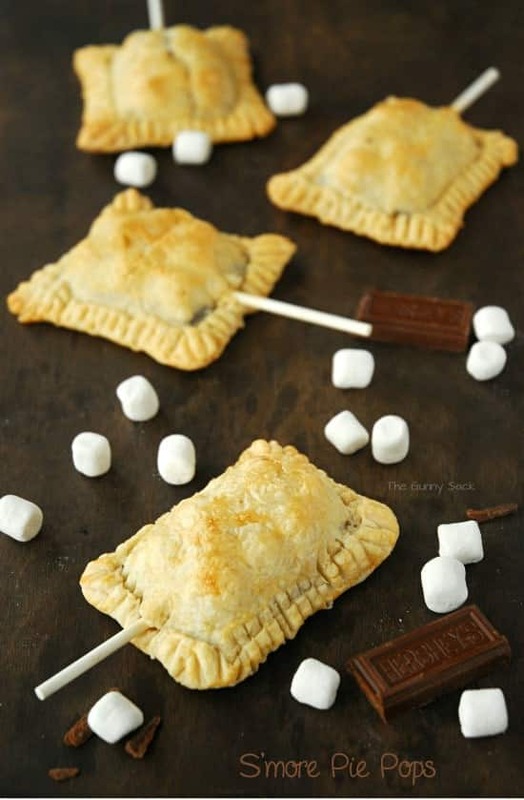 I just prefer them to be INDOOR s’mores. 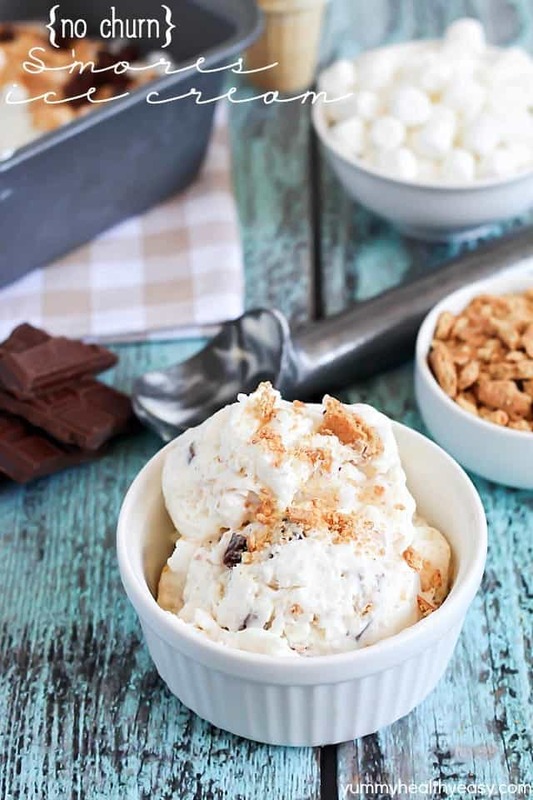 From cakes to cookies, pie, and ice cream, it’s so easy to make indoor s’mores with or without an open flame! 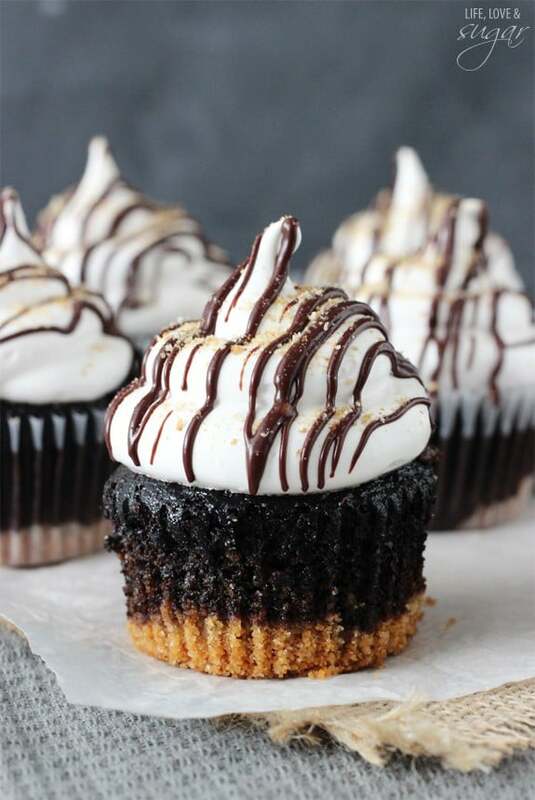 Here are 31 of my favorite recipes! Which one is your favorite? 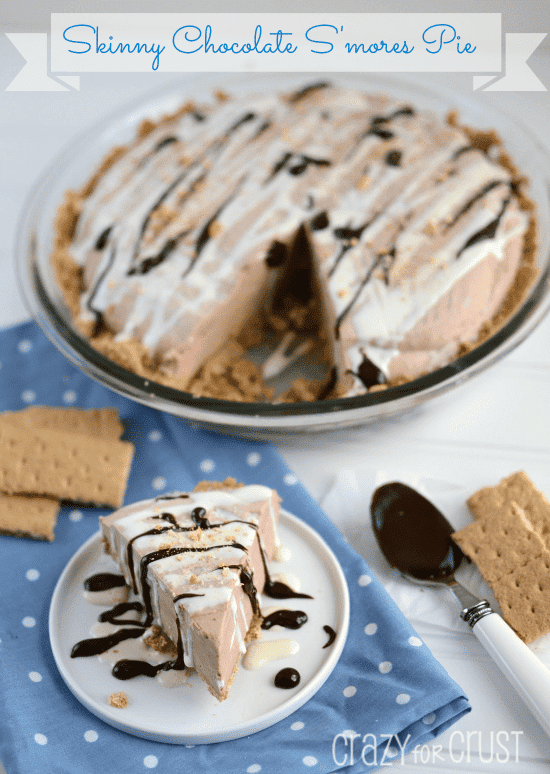 Sugar Cookie S’mores Pie – only 3 ingredients! 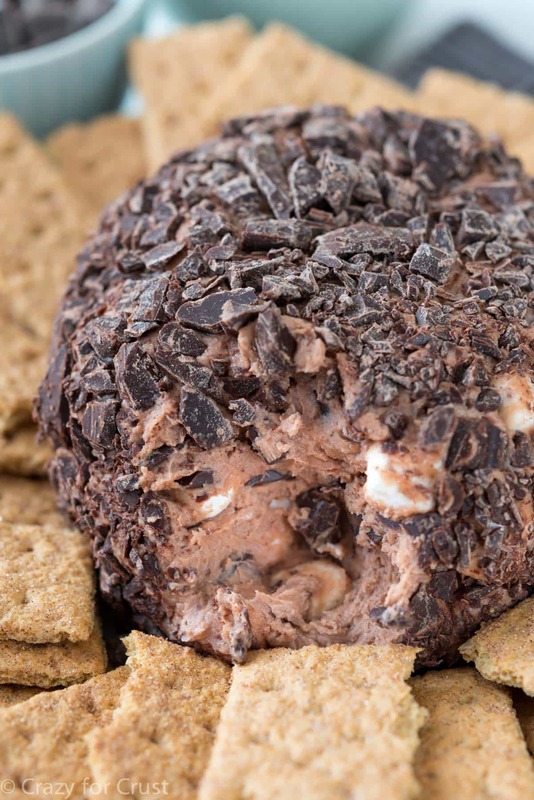 S’mores Cheeseball – a sweet cheeseball full of chocolate and marshmallows! 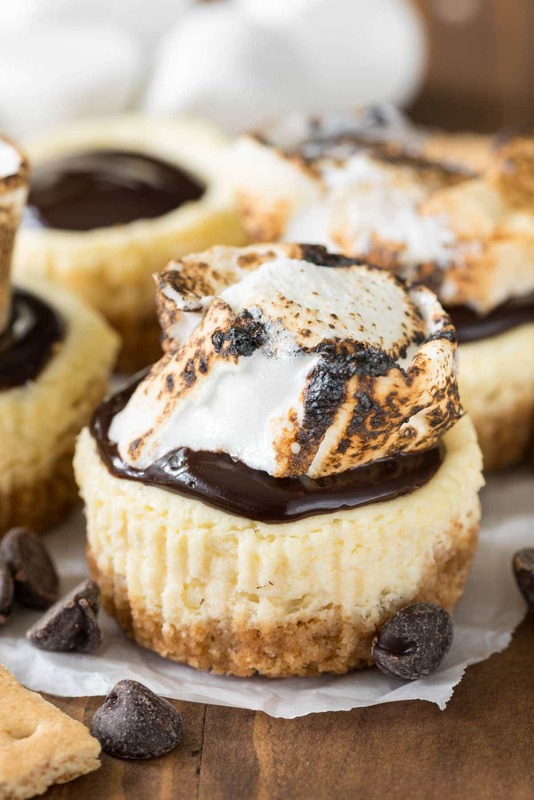 Mini S’mores Cheesecakes – top easy mini cheesecakes with fudge and marshmallows! 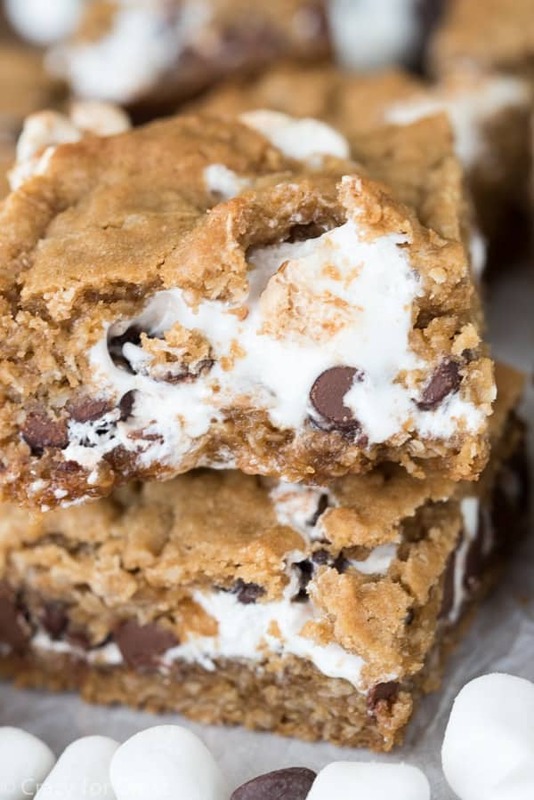 Oatmeal Cookie S’mores Bars – my favorite oatmeal cookies made with a fluff and chocolate center! 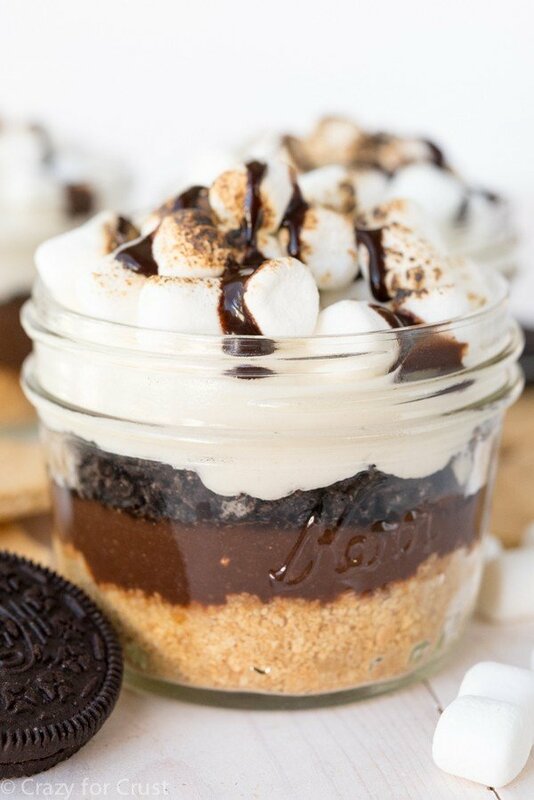 Oreo S’mores Trifle – a no bake s’mores trifle made with pudding and Oreos! 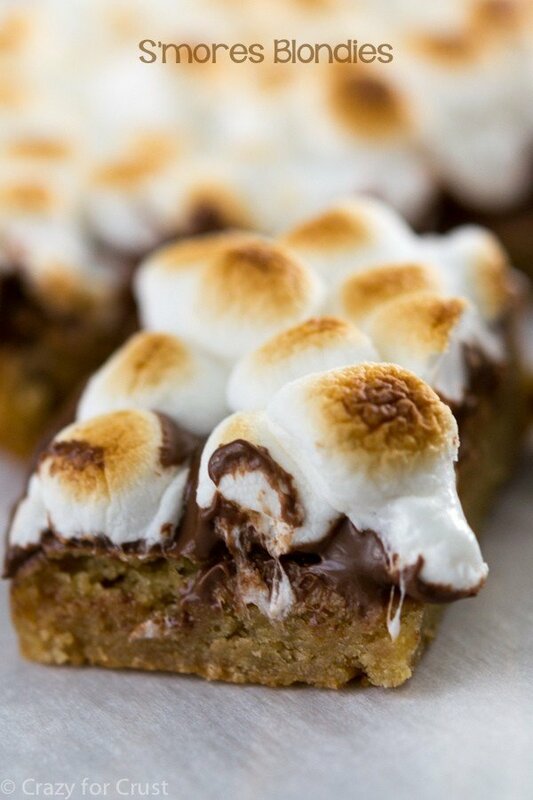 S’mores Blondies – my favorite blondie recipe with Nutella and toasted marshmallows! 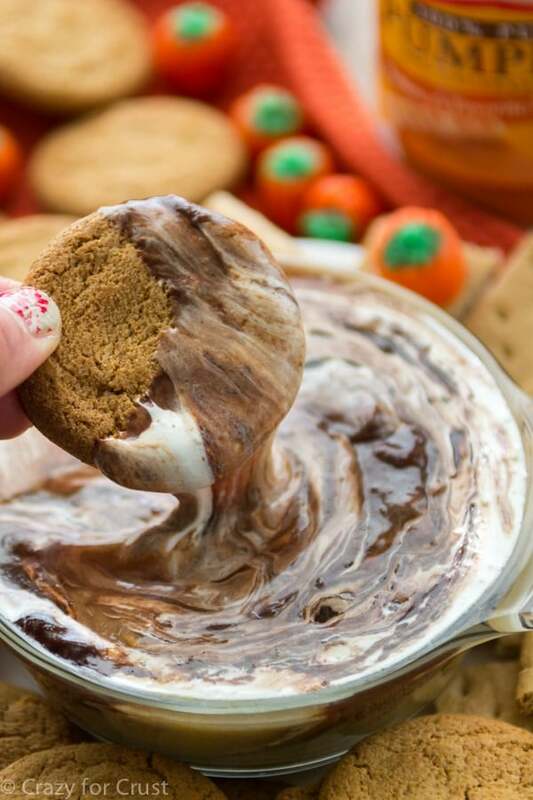 Pumpkin S’more Dip – perfect all year, especially with Gingersnaps! 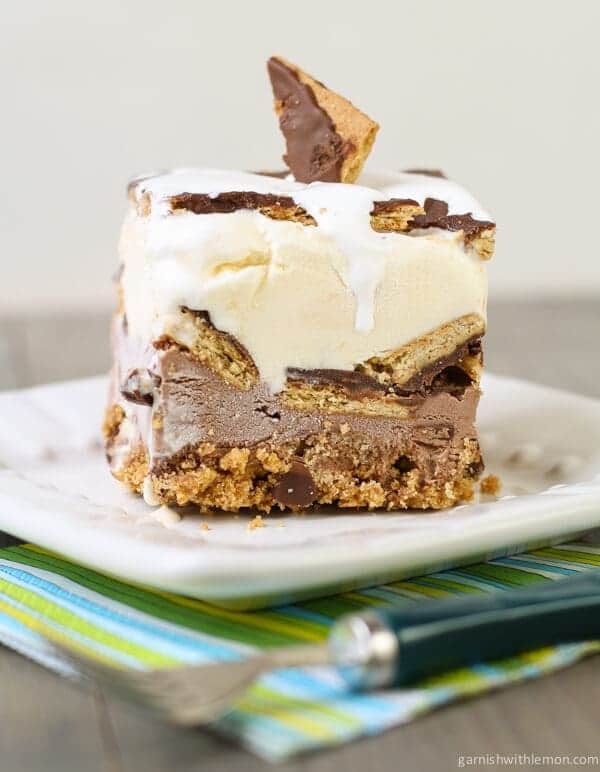 No Bake S’mores Bars – just 3 ingredients!! 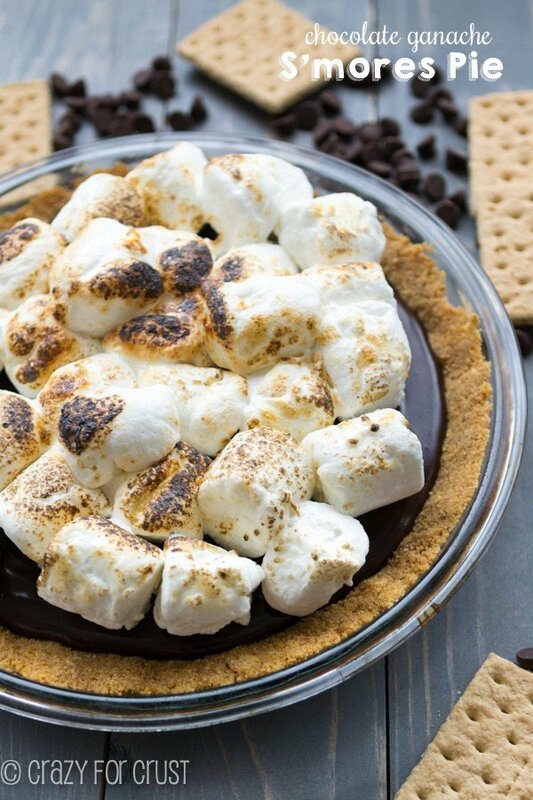 Chocolate Ganache S’mores Pie – an easy crust filled with ganache and topped with toasted marshmallows! 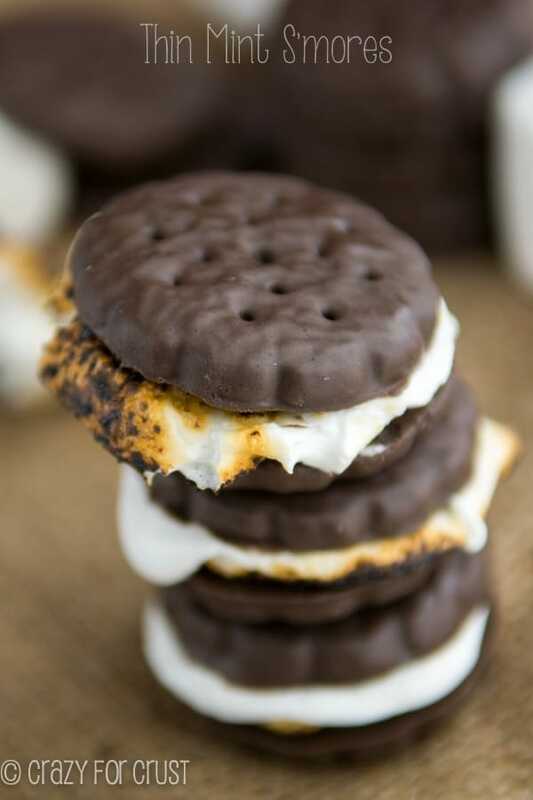 Thin Mint S’mores – the easiest s’more recipe ever! 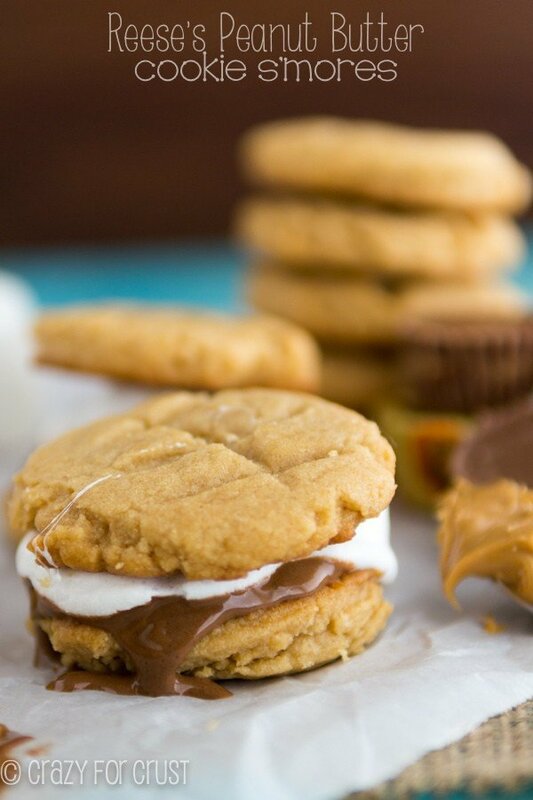 Reese’s Peanut Butter Cookie S’mores – why should graham crackers have all the fun? 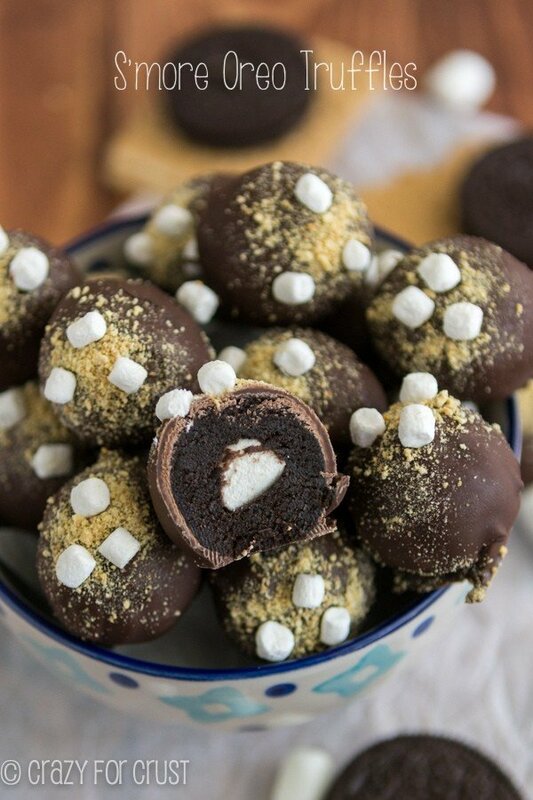 S’more Oreo Truffles – easy Oreo truffles made with marshmallows! 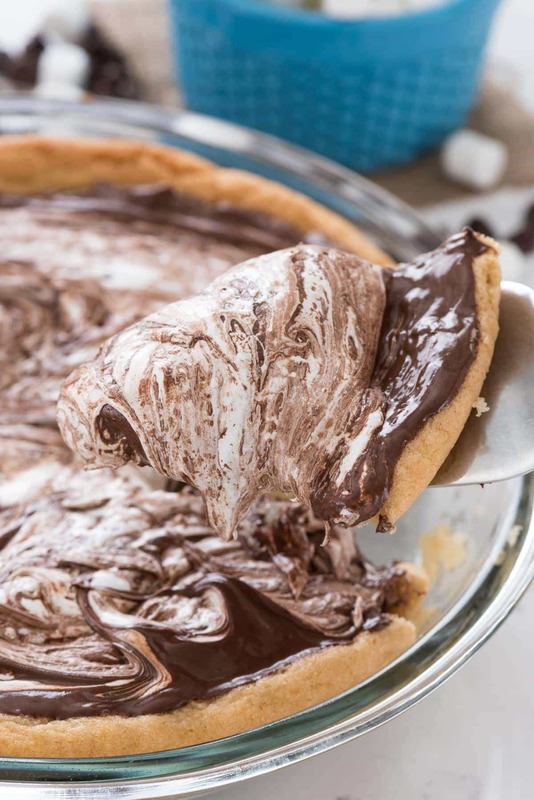 Skinny Chocolate S’mores Pie – perfect for summer! 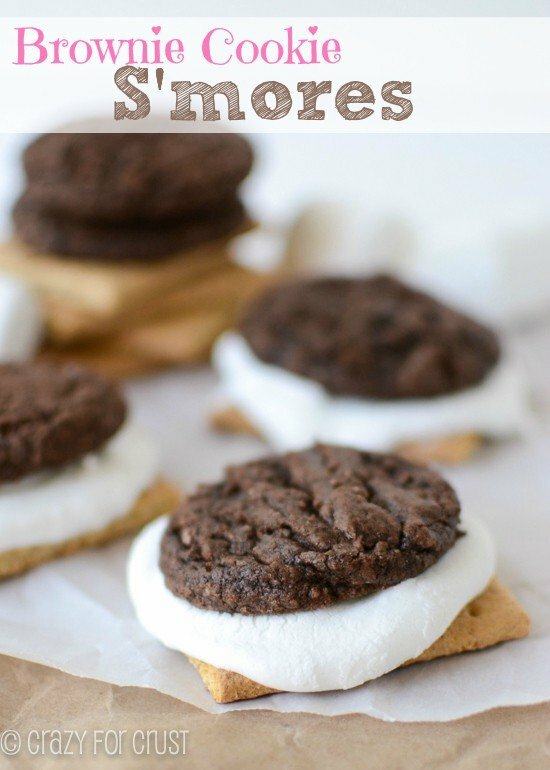 Brownie Cookie S’mores – easy brownie cookies made into s’mores! 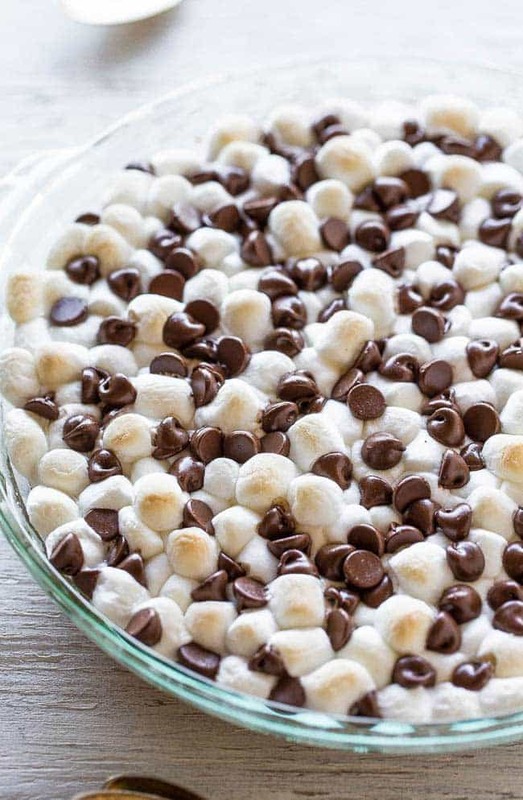 S’mores Pudding – it’s so easy to turn your favorite pudding into a s’more! 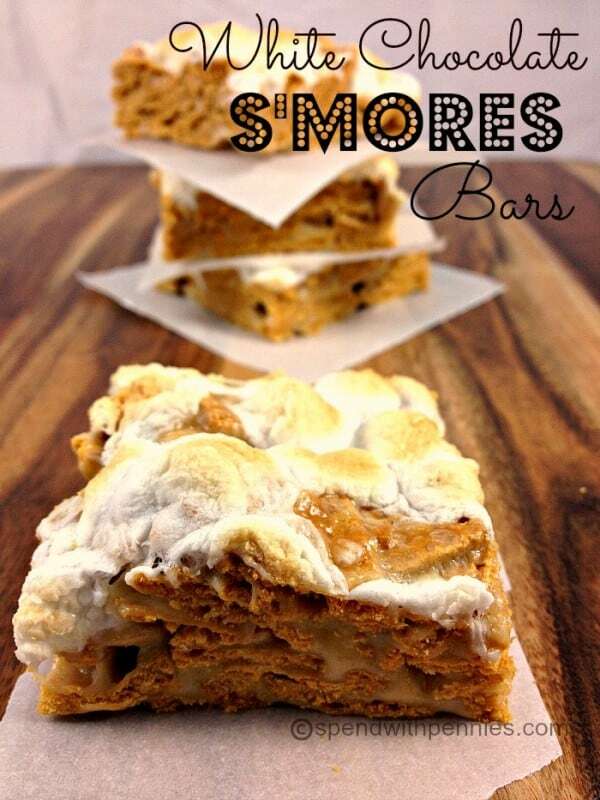 What’s your favorite way to eat an indoor s’more?? I’m stuck inside, so these are my only s’more option! Looks good. Yesss!!! 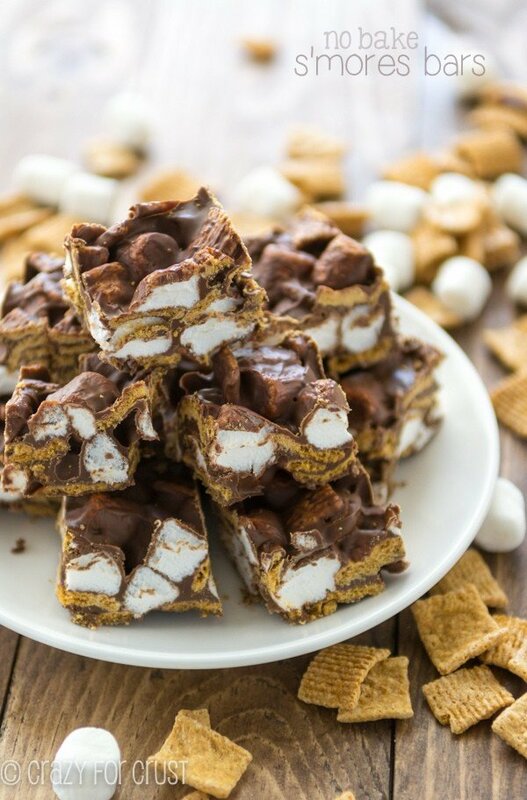 All the smores!! 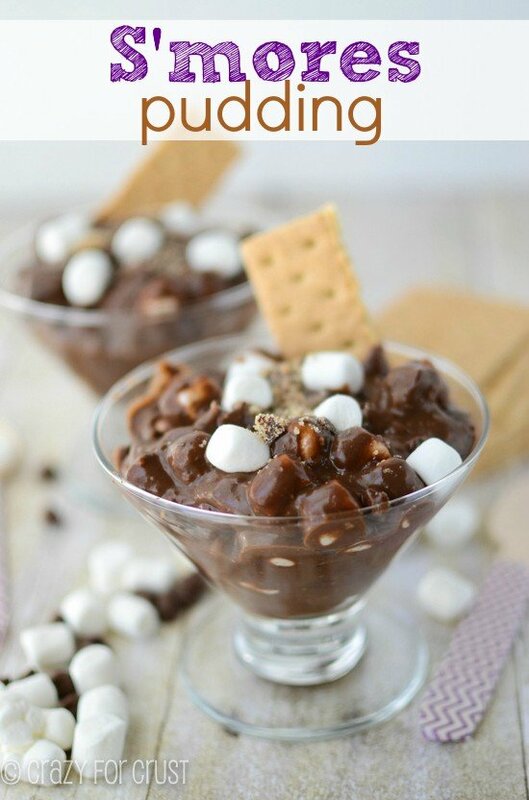 When we were kids we used to roast marshmallows over candles to get our smores fix! 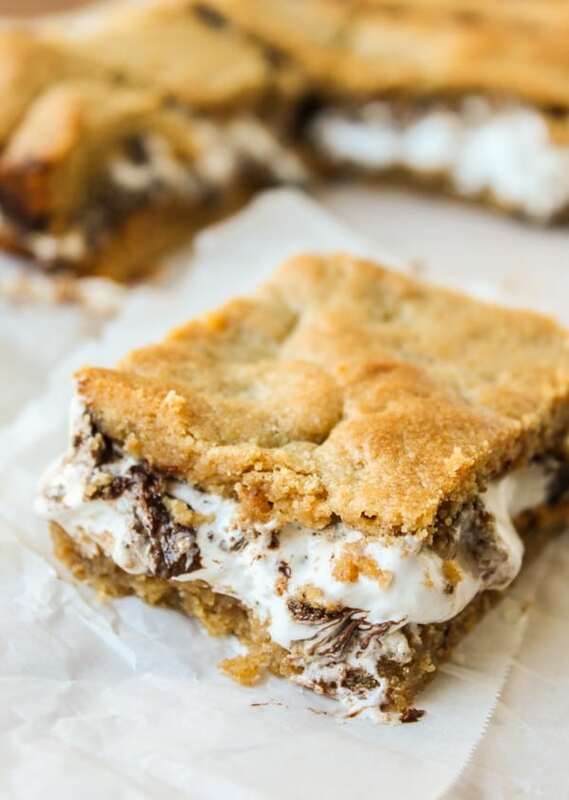 Thanks for sharing my Peanut Butter S’mores Cookie Pie! 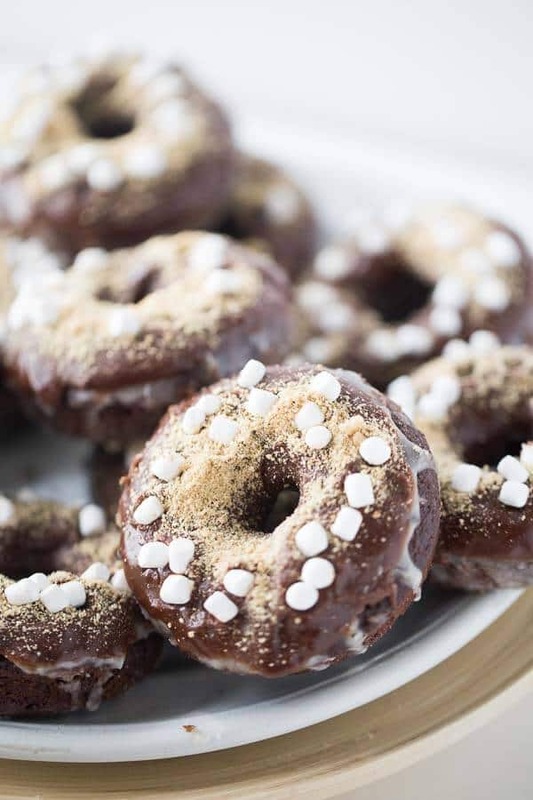 I wish I could have a bite of every single thing in this roundup! 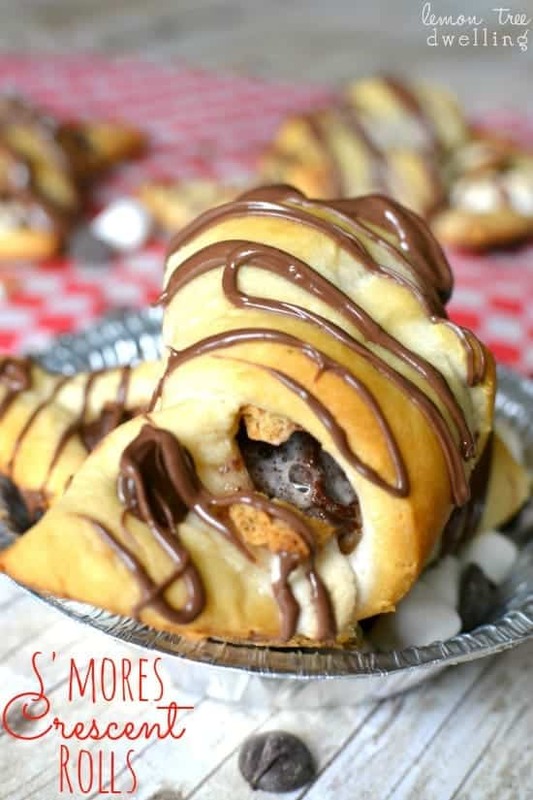 These are the best of S’mores! 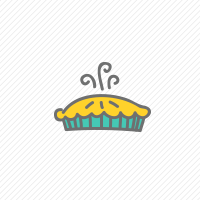 Thanks for sharing my lasagna! Wow, they all look sooo goood! It’s been rainy all week here, so this is appropriate for me!! Well…it looks like I’ve stumbled into Nirvana. 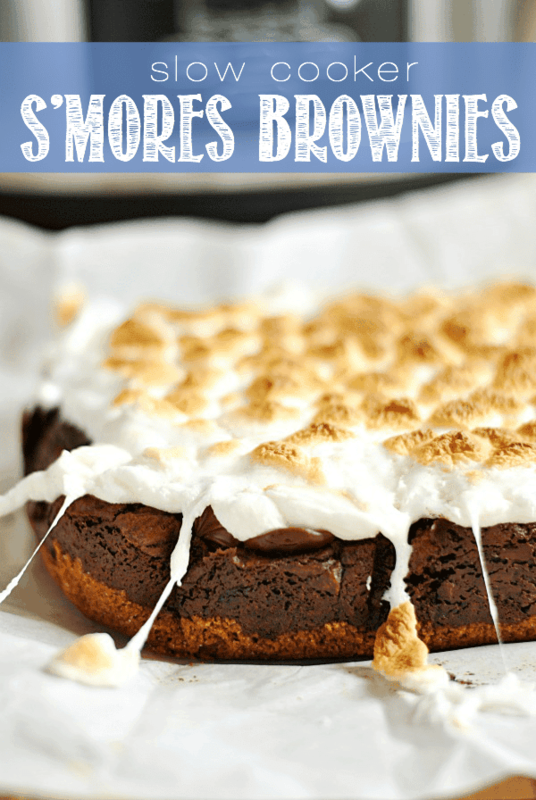 I am hooked on s’mores, and I was actually just searching for a s’mores bar recipe of some kind to try out to bring to a get together later this summer. So glad I found this! 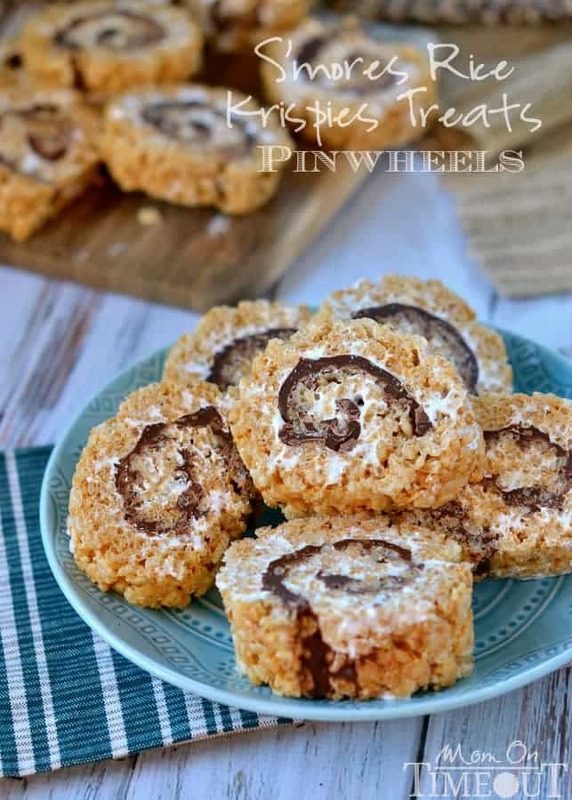 These recipes are amazing! 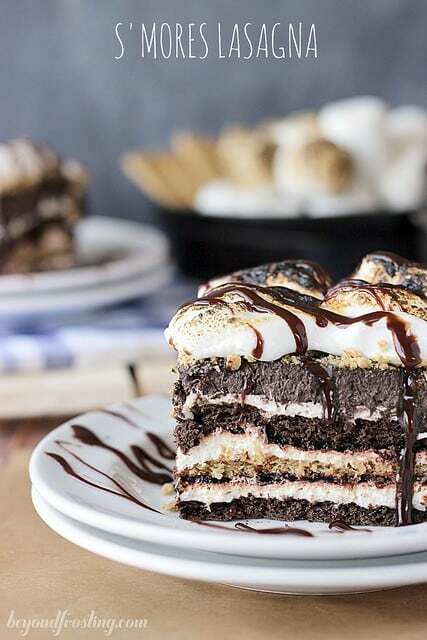 S’more lasagna? Heck yes! 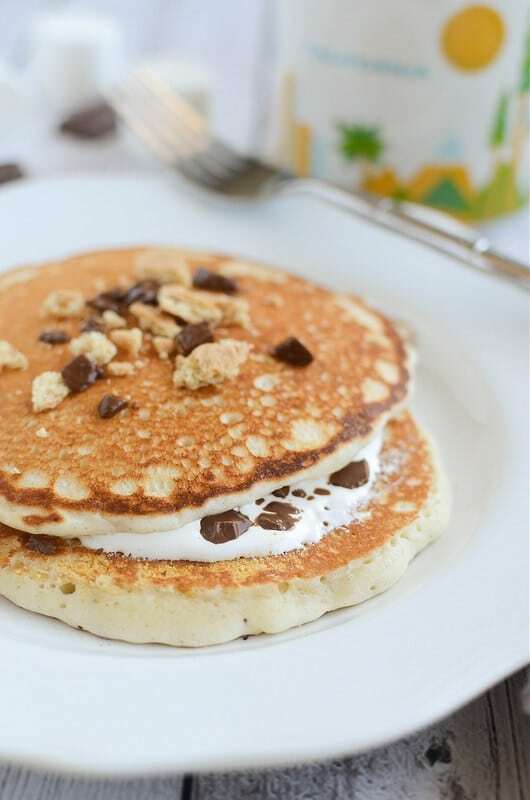 S’more pancakes? Yay! I can have s’mores for breakfast now! I’ll take one of each, please! There’s no way I could decide on a favorite when they all look that good!